Thank you for analyzing this and posting it, Jim. I have a few weeks before my audiologist returns from maternity leave, but I am definitely going to check with her on this. Because I am totally frustrated in restaurants and at parties. I can understand speech better if I go without my hearing aids! When I complained about this, I recall she said that she made the noise reduction “more aggressive.” But that’s all I know. And interesting aspect of the Audiology Online course that I link to in my post above on Advanced Features is that it kinda makes a useful test recording for fooling around with Noise Reduction and Wind Reduction settings in the Smart 3D app. The course I cite is a terribly made audio recording in spite of its excellent content. The speaker is all over the place with sound volume and speaking into the mic and she’s not using as high a quality mic as most of the other ReSound online courses are, which are typically stellar in presentation and audio quality. So her voice was fading in and out. There was a lot of reverberation in the recording from her mic/environment. I looked at my Smart 3D app and I had noise reduction cranked all the way up to STRONG and I had wind reduction at 100%. Hmmm…! I probably kinda don’t need to apply these two settings. So I turned them down or off and the audio became much clearer in spite of the fact that the recording was probably not one of the greatest ever made. Hope there is an easy answer to your speech in noise problem, Noreen. As you may have read, I’ve found the degree of occlusion in my fitting makes a difference and for me, there does seem to be a sweet spot close to almost occluding where I still don’t have the fingers-in-the-ears own voice sensation but outside speech is a bit clearer, crisper. The same video that I reference about noise reduction also mentions that attack/relaxation time constants for applying speech amplification (compression) usually work best if they go on and off very fast but that for some people a slower onset and relaxation for speech helps. Some such people are folks who unfortunately have trouble because of stroke or dementia but it also mentions that a slower onset and relaxation of amplification factors can be helpful for people who have poor word recognition - the change to slower time constants gives a softer, slower, more rounded sound to syllables. Presumably your audi knows a ton more than any of us but almost all the training stuff that I’ve encountered emphasizes the audi talking in detail with the patient about what they’re experiencing and also says that delving thoroughly into the problem can really help because sometimes the actual cause or actual solution is not what seems obvious on first presentation. Some difficult speech-in-noise situations may just require a remote mic, unfortunately. So, 6 months on, what’s the feeling in the room? Is Android connectivity really coming or was this a false start? I was very hopeful but now I’m not so sure. Using the Clinician’s Report from your audi to see how occlusive a fit that you have. Judging how occlusive your fit is and whether you’ve reached the potential nirvana for your listening experience can be tough. For me, what my voice sounds like, how easy is it to insert and remove the domes in each ear, what do other sounds sound like, how good is my sense of sound directionality (reduced with more occlusive fits) are all approximate indicators. But in taking ReSound courses at Audiology Online, a lecturer emphasized that the feedback analysis curve, which should be run for every fitting, can provide a good indication of the degree of occlusion. At least for ReSound fitting software, if you ask your provider, he/she can print out a Clinician’s Report for you that will include your feedback analysis profile as part of the graphics. I provide mine below for several different domes types, showing the degree of feedback susceptibility (which is inversely correlated with the degree of occlusion). Right ear is RED, left BLUE. The curves show dB of gain to be applied as a function of frequency for 50, 65, and 80 dB SPL input. The upper solid red and blue colors in the graphs show the range of amplification beyond the capability of my medium power receivers. The bigger lighter gray peak coming down shows frequency/amplification regions with the potential for feedback. The smaller darker gray overlapping area above is is a DO NOT FIT region with danger of serious feedback if amplification were to enter this region. The second and third left ear tests were independently done so you can see that the test is pretty reproducible. I’m quite happy with the third fitting situation. My hearing is somewhat occluded, I’ve lost some spatial directionality but I like the listening experience. The one thing that I don’t understand yet is why the potential for feedback shown varies with program shown (the one show here is the Outdoor program where the most gain is applied, Music program is essentially the same). Programs with lesser gain applied (All-Around, Restaurant) are depicted as having more potential for feedback?! Edit_Update: To try to answer my own question at the end about the difference in potential feedback depicted on a hearing program-by-program basis, perhaps the difference is that Outdoor and Music are OMNI-DIRECTIONAL listening programs so the HA’s cannot focus on sound coming from a specific direction. The All-Around and Restaurant programs have the potential for variable directionality and can be focused (and amplify?) sound coming from a specific direction, which perhaps increases the potential for feedback. Interesting information Jim, thanks for the post. A month ago I posted about looking at the Quattro’s, mostly motivated by a one-time insurance incentive. So I went ahead and took the plunge, my previous aids were Costco KS6 and KS7s. Like my KS6’s, I like the streaming options available from Resound so I’m hopeful it will give me more options. At first, I was not feeling like the noise reduction was much different but today I saw my audiologist and she made further adjustments, so hopefully it’l be better. Also I’ll study some of what you have written and see if there more ideas I can approach her with. 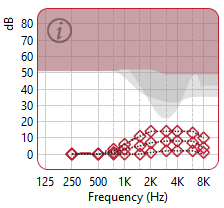 I neglected to ask my audi for a copy of my REM test results - but she said the results matched my Audiogram+ fit very well except the right ear was a little off at 4K Hz but not worth fiddling with. Everything that’s written below should be ignored by anyone who doesn’t want to delve into ReSound HA test sounds. Too bad ReSound does not make the sounds available in the Smart Fit software media player (sound player) available through the Smart 3D app. I find the sounds very helpful because they are (obviously) highly reproducible just for playing around with the settings in the Smart 3D app and learning what works best in certain sound situations. 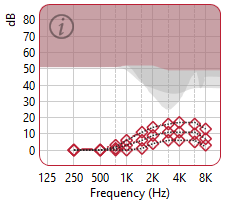 I like the noisy bistro scenario with speech at 0 dB above background noise as a test of how my HA’s are working. There is one line in there, where the waitress asks if the couple is ready to order, the man says yes but the woman customer replies that she thinks she needs another minute that is extremely challenging to hear, as the woman speaks in a very soft, much higher-pitched voice than the man in a very noisy bistro environment. As Stephen Bright has pointed out, using the recording as a test would best be done if it were truly at least 5:1 surround sound with distinctly separate and independent sound channels, recreating a realistic sound environment but even as “TV sound,” it’s a very challenging recording to listen to. 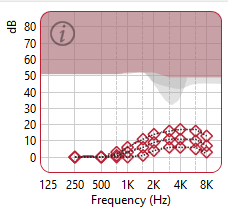 Versions with speech only and speech at 5 and 10 dB above background are also provided but the 0 dB above background is the great test of the HA settings one is using in the Smart 3D app! Aha! 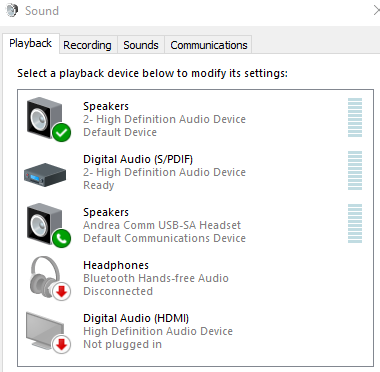 As far as playing sound from a computer to a 5:1 speaker system hooked up to a HD TV, the following advice, originally of Windows Vista vintage (March, 2009) still appears to hold true for Windows 10 vers. 1809 (fall, 2018). The settings are available through the Control Panel under the Sound applet (type Control in search dialog). Presumably as soon as I hook my laptop’s HDMI output up to the TV’s HDMI input, I’ll be in business for playing 5:1 sounds out of my computer to my Yamaha amplifier hooked up to my TV to test HA perception in a Surround Sound environment and I shall be looking in SoundCloud and elsewhere for good DRM-free sounds that anyone can listen to as a test sound (suggestions welcome!). As discussed elsewhere in the Microsoft Answers thread, I’ll need the right audio driver on my laptop, too, to be able to play 5:1 sound from computer to TV. Hopefully the migration path to Windows 10 has not obliterated the OEM driver provided originally with the computer. From the VA, I just picked up a set of Linx Quattro 61 Mini, on 2.21.19. Ordered them 1.23.19, and they were available in only two weeks, but i could not pick them up due to personal activity. That was just yesterday, so it will take awhile to get the hang of the Mic and the Phone Clip. No idea how long they were available. I was just impressed with the step up in technology from my prior set. Took the ReSound Audiology Online course on Noise Tracker II and Wind Guard last night. Learned that ReSound’s wind reduction algorithm works best in Omni-directional mode. That’s why they have a separate Outdoor program-the whole basic purpose of that program. The other two main, everyday usage programs, All-Around and Restaurant, have the potential to switch to or be used with binaural directionality according to the environmental circumstances and/or the user twidding with the Smart 3D phone app. So if you are outdoors and bothered by the wind, you should switch to the Outdoor program and not stay in All-Around or Restaurant. Via the Smart 3D app (or through your provider changing settings) you could apply wind noise reduction in one of these other modes but it probably wouldn’t work so well. The reduction algorithm depends on at least one of the mics on each HA in omni-directional mode listening for low frequency sound that’s not coordinated between ears (wind noise is usually highest around 100 Hz but the reduction algorithm monitors up to 3000 Hz, just to be “safe”). 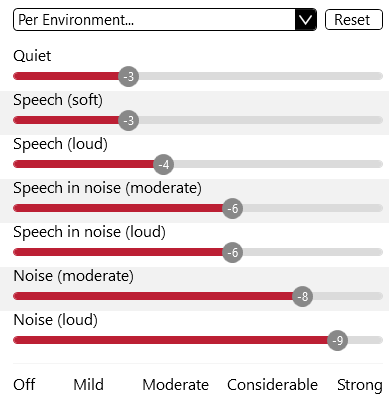 ReSound says that a setting of MILD (the default setting) should work for most users but that if a user is bothered by wind noise, the provider can crank up the wind reduction setting to moderate or strong (or the user can do so in the app) at the cost of possibly reducing speech audibility, too, because of gain reduction in low frequency sounds. The course also mentioned that the exact position of the HA’s behind the ear for a user, the shape of the ear, etc., can also affect how well the wind reduction algorithm works for a user - so if you were having trouble with wind noise, that might be something to look into with your provider. I find ReSound’s wind reduction works great for me when in the Outdoor program (am using the default setting of MILD). I bike to and from work everyday with Quattro’s, so wind is something I deal with frequently. For me, I was delighted by the wind reduction set to moderate when on All-Around. Given that all around switches automatically between omni and directional processing, and given the amount of wind reduction I get, I’m assuming the HA in this situation automatically goes to omni since there’s no audible human speech. Yes, the lecturer mentions at the end of the part on wind noise that one can try applying Wind Guard in All-Around program mode (she leaves out any mention of Restaurant, which is more oriented towards directionality, being set to “Autoscope Adaptive Directionality” by default, whereas All-Around is “Binaural Directionality with Spatial Sense”). I guess if one is by oneself on one’s bicycle, one is likely to stay in omni-directional mode in the All-Around program. 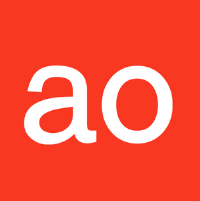 But if one is out on the golf course talking with golfing partners or walking down the street with people you go by talking, the All-Around program might not work so well as speech overheard might send it however briefly into a directional mode. The lecturer says Wind Guard works by constantly taking an environmental sound average and comparing that to what the mics set in omni-directional mode are telling it about wind noise. It will only kick in if the omni-directional mics judge that the wind noise is > 70 dB SPL and at least 1.5 dB greater than the average environmental noise. So perhaps there is some danger if you’re in the All-Around program and the HA’s are switching between omni-directional and directional modes, you’ll louse up the wind discrimination comparisons. But if whatever works nicely, who’s to debate that. 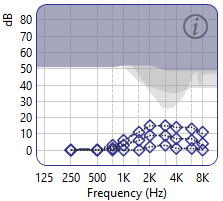 It is a bit strange that ReSound in the Smart 3D app gives one access to Wind Guard and all levels of Noise Control in every basic program without giving the user much advice in the app as to what programs and to what degree the controls are likely to work best (i.e., the strongest wind reduction and the strongest noise reduction may interfere with speech intelligibility but no in-app advice on that that I’ve come across). The reason I brought up wind suppression in the first place is that I remember some Quattro users on this forum occasionally complaining about wind noise and I just wondered if they were using the best program (Outdoor) specifically designed to deal with wind noise best, according to the ReSound lecturer for the Audiology Online course. The lecture was only created on 8/24/17, at the time of the LiNX 3D, but ReSound certainly has a responsibility to update it and make it current if anything significant has changed relative to the Quattro. Very interesting indeed. I don’t appear to have an outdoor program. I presume I have to ask my audiologist to activate it? Yes, your audiologist should be able to activate it. The four basic programs that I asked for are All-Around, Restaurant, Outdoor, and Music. Others like Acoustic Phone, streaming from the Phone Clip+, and direct connections between your HA’s and the Multi-Mic or up to two (or three, if you don’t have a Multi-Mic?) TV Streamer 2’s can be added and I believe the user can set up the Phone Clip, Multi-Mic, and TV Streamers themselves just by pairing directly to HA’s but the other programs have to be added from the fitting software to your HA’s. The fitting software can have up to four default basic programs but as ReSound provides it, the only out-of-the-box programs are the All-Around program and the Restaurant program. I had played around with the Smart 3D program and it had all four basic programs WHEN IN DEMO MODE and I may have told my audi for that reason to be sure to add them or she may have just been pro-active and went ahead and added them to her default set-up, too, so that I was fit with them. Another potential out-of-the-box difference is the default gain profile when providers run Smart Fit without doing anything is “First-Time User” and the provider has to consciously switch the user to “Experienced (Non-Linear).” With the Experienced (Non-Linear) you get more gain, especially in the Outdoor program and I especially like the boost. I think it helps me hear better and more clearly. Maybe ReSound should have more hints in the app when it is out of demo mode and up and running that the user could add more programs and more devices than what they have. Be neat if the app indicated what overall profile the user was in (First-Time or Experienced) and tutored the user on what the difference was and whether they might want to change. Seems strange for folks in general to pay so much and yet potentially not know what they might be missing because they might not have tried the Smart 3D program in demo mode or the provider didn’t fully discuss where one might go with all the options (my case with the Experienced user options). Have some further advice for any other ReSound Quattro users, particularly anyone having trouble understanding soft-spoken sounds. I’m a first-time hearing aid wearer and got fit by my audi with open vented domes and had my hearing profile set by default as “First-Time” user. I was very happy with the initial results I got even happier when I got switched to the “Experienced (Nonlinear)” user fitting profile in ReSound’s software (not so much emphasis on “comfort,” more emphasis on amplifying sounds more to my prescribed fit to hear better). I also found that going to more occlusive custom molds, in my instance silicone molds with a customizable select-a-vent size, gave me improved speech clarity and more control over noise if I go with a pretty small 1 mm vent. The latest thing I discovered is that a ReSound provider can actually let you test other fitting algorithms such as the generic NAL-NL2 and DSL5-Adult fitting recipes. These fits are available to the provider in ReSound’s fitting software. I have had a chance to briefly try both and for the moment prefer the NAL-NL2 fit over ReSound’s proprietary Audiogram+ software (YMMV). My soft-spoken wife sounds even clearer to me. And this may sound funny. I like to stream BBC programs. I’ve always had a bit of a problem understanding British accents because I think there is more emphasis on sibilant and fricative high-pitched consonants, e.g, “s,” “th,” in British as opposed to American English. But tonight listening to a BBC program while on a treadmill at the gym with some noise in the background, all the British accents I heard came through loud and clear to me listening under the NAL-NL2 fit. 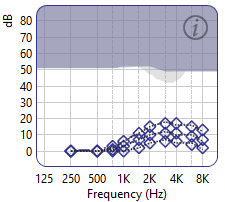 My impression of NAL-NL2 relative to ReSound’s Audiogram+ is that it amplifies soft sounds more but actually backs off the amplification of loud high frequency sounds a little more than Audiogram+. So soft noise is a little more bothersome to one’s ears than with Audiogram+ but loud noise sounds seem less bothersome with NAL-NL2 than with ReSound’s Audiogram+. Many people may not like the degree of occlusion that I’ve chosen with my custom molds and very narrow vent size. I find NAL-NL2 instead of Audiogram+ alleviates much of any sense of occlusion. My own voice sounds more natural as do other people’s voices. But with open vents, since I have good low frequency hearing, I was bothered by noisy sounds bypassing my hearing aids and going straight to my ear drums. Directionality could not work effectively because even though my HA mics might decide to focus on speech coming from a particular direction, noise from everywhere still leaked to my ear drums. Now with the molds and the narrow vents, if I chose to turn my HA’s off, it’s almost as if I’m wearing modest ear plugs and I can cut out a lot of noise, e.g. running on a noisy treadmill at the gym tonight. I liked the DSL5-Adult fitting algorithm, too, but thought it amplified high-pitched sounds way too much. I see in Don’s posts that he’s found a way to have DSL5 adjusted to his satisfaction and since he finds DSL5 very helpful in understanding soft-spoken speech, it’s worth trying it again following Don’s recipe. So perhaps the moral of my story is that if you have an understanding provider, it’s worth trying custom molds and other fitting algorithms rather than just being happy (as I was) with the standard “comfort” recipe for new users that HA manufacturers use. The standard recipe may not be the one you like the most, if you’re like me. I would recommend that next time you go see your VA audi, you may want to replace those programs with the various standard fitting rationales instead. So the default P1 is based on the Oticon proprietary VAC + rationale. You may want to program P2 to have NAL-NL1, P3 to have NAL-NL2, P3 to have DSL-v5a, Adult. I’ve always had a bit of a problem understanding British accents because I think there is more emphasis on sibilant and fricative high-pitched consonants, e.g, “s,” “th,” in British as opposed to American English. Maybe I should try to watch Downton Abbey again? Thanks, Jim! I will be scheduling an appt with my audiologist soon. The sort of sound differences that I was thinking of might be exemplified by “while” (Am) vs. “whilst” (Br) and for the word “schedule,” “skedule” (Am) vs. “shedule” (Br). Can’t think of others right now but I’m sure there’s a bunch more. On overall differences in pronunciation and syllabic emphasis, there’s an extensive Wikipedia article so perhaps it’s just a matter of hearing the pronunciation better for many words with my HA’s using the NAL-NL2 protocol, then being able to better make the British English to American English word recognition in my head, i.e., avoid getting confused by a different word pronunciation or syllabic emphasis that I didn’t hear so clearly. Differences in pronunciation between American English (AmE) and British English (BrE) can be divided into In the following discussion: Subscript a or b means that the relevant unstressed vowel is also reduced to /ə/ or /ɪ/ in AmE or BrE, respectively. For many loanwords from French where AmE has kept the original French final-syllable stress, BrE stresses an earlier syllable. French loanwords that differ in stress only are listed below.